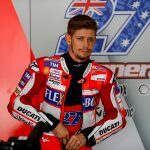 Honda Racing Corporation have announced Casey StonerÃ¢â‚¬â„¢s return to competition racing. The two-time MotoGP Champion (2007 and 2011) will form part of HondaÃ¢â‚¬â„¢s MuSASHi RT HARC-PRO three person team at this yearÃ¢â‚¬â„¢s Suzuka 8hr race, taking place on Sunday 26th July. Casey, together with HondaÃ¢â‚¬â„¢s World Superbike rider Michael van der Mark and MFJ All Japan Road Race JSB1000 Championship and HRC test rider Takumi Takahashi, will be looking to clinch HondaÃ¢â‚¬â„¢s sixth consecutive win in the prestigious endurance event which runs for eight hours consecutively where entrants (composed of two or more riders) alternate during pit stops. Having recently renewed his testing contract with HRC, Casey tested the Suzuka CBR1000RR machine during JanuaryÃ¢â‚¬â„¢s Sepang test, reporting positively on the machine to Honda engineers.